made with homemade vegan vanilla ice cream. Let’s cut to the chase – I love root beer floats. Oh, by the way, this is Jack posting once again. 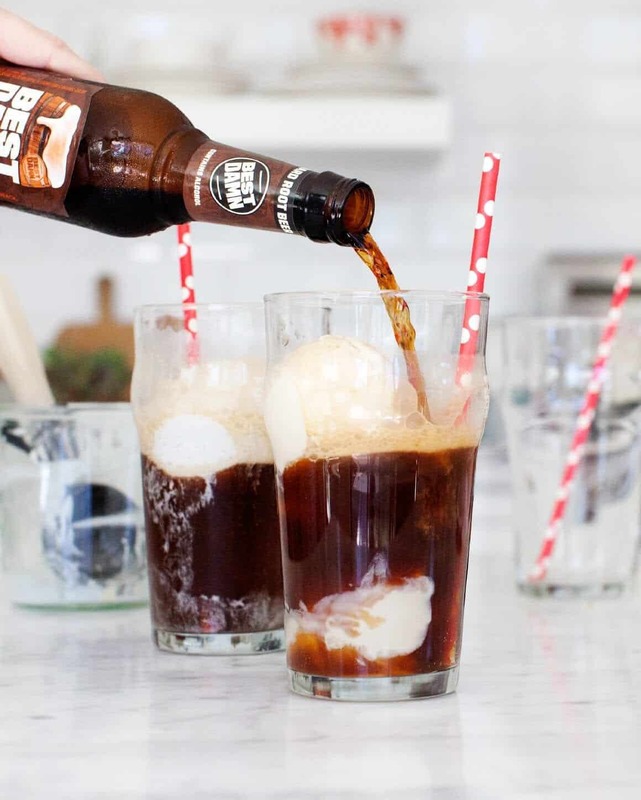 That’s not to say that Jeanine doesn’t love root beer floats, but when we got an opportunity to work with a beer company that brews alcoholic root beer, I knew I would be writing this post. The first question I had, of course, was “boozy root beer? Is it good?” Well I’m glad to say that yes, BEST DAMN Brewing Co.’s hard root beer is really good and tastes just like root beer. Root beer floats may be one of my favorite treats in the world, because they bring me back to childhood. Growing up, my dad would make floats for the two of us all the time. He wouldn’t just pour root beer over any old ice cream either – they were a special treat. He would use the fancy vanilla ice cream with the specks in it and he’d try out different root beers to see which one was the best. Root beer floats are something to be made with love and care. So here I am, decades later, and I’m sharing an adult root beer float with all of you. And just because we are who we are, we couldn’t just leave well enough alone and use store-bought ice cream. So we decided to do one of our other favorite things and make some ice cream on our own. We made homemade vanilla ice cream with a base of coconut milk and cashews. It’s creamy without cream, and incredibly delicious. Needless to say, this brought me back – well except for the booze part. Before you begin, chill the base of your ice cream maker in the freezer overnight. In a high-speed blender, combine the coconut milk, cashews, arrowroot starch, sugar, vanilla, and salt and process until smooth. Pour the mixture into the base of the ice cream maker and churn according to the manufacturer's directions, or approximately 22 minutes. Scoop the ice cream into a freezer-safe container and chill for several hours to firm it up. 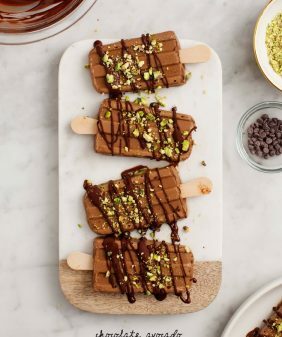 If you store the ice cream in the freezer overnight, let it sit out at room temperature for 15 minutes before serving to soften slightly. 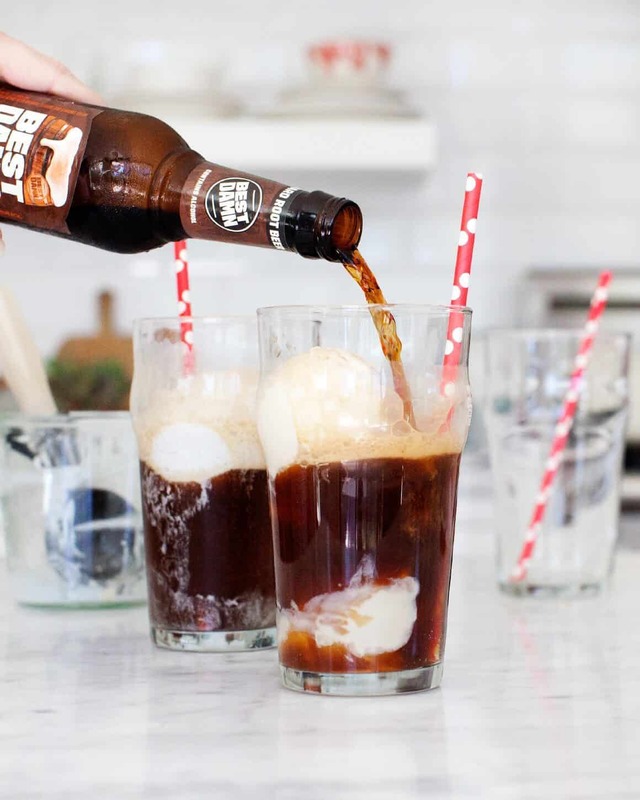 Scoop the ice cream into glasses, pour the root beer on top and enjoy! 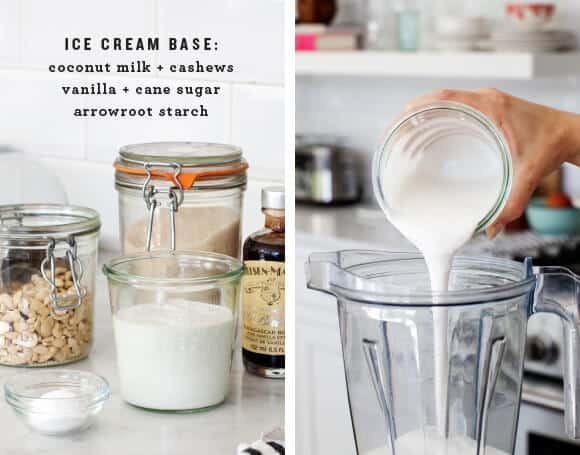 *If you're not using a high-powered blender like a Vitamix, your ice cream will be smoother if you soak the raw cashews overnight or for at least 4 hours. Drain and rinse them before using. This post is sponsored by BEST DAMN Brewing Co.
Boozy root beer floats are the best! 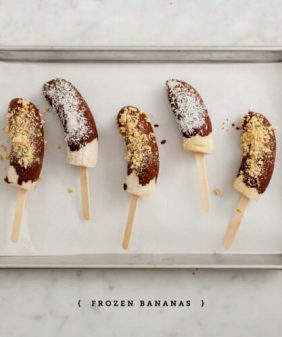 Such a great grown up summer treat! Must say I’ve never heard about this before… Should I feel a certain way? Looks amazing though! This looks ah-mazing! Need to make these tonight!!! Is this beverage gluten and corn syrup free? 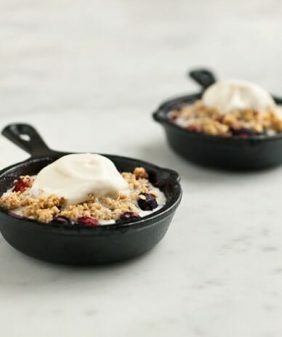 I can’t find any info on the website and my hubby would LOVE this recipe! THIS. This is what dreams are made of. After two long shifts in a kitchen, this looks like something I need today. It would be cute to share with my husband, but he can make his own 😉 Great work! Alcoholic Root Beer? No way! 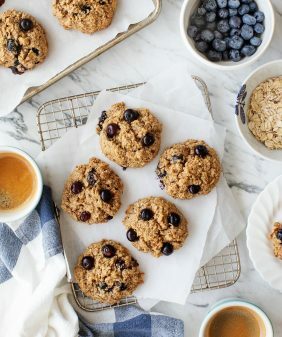 I love that you guys made this recipe dairy free. 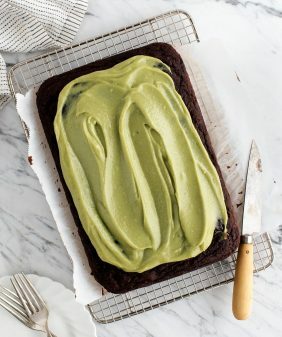 it looks delish! Pinning! Root beer is amazing and this just looks AMAZING! 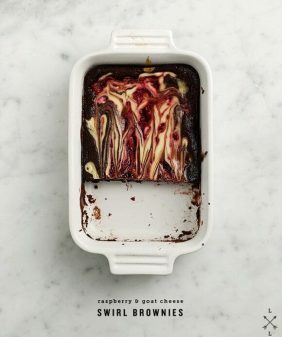 So excited to try and make this!